Wednesday is the longest day of the week, what with the writing workshop from 6:30-10 pm. It comes right after a full day of work, drive across state lines (not as far as you might think), peanut-butter sandwich and a triple-shot americano. Last night was especially difficult since I have this pain-like-fire in my back that is probably left over from Saturday when I slipped on spilled milk and fell in the grocery store, quite the moment of excitement in itself. Personal visuals aside, workshopping has been a valuable experience for me. I gain so much from being able to participate in the shared experience of working with other writers to study and practice the craft of writing. 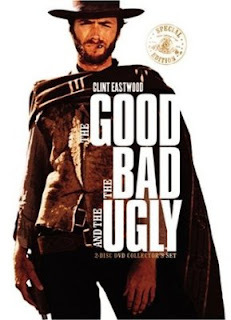 I appreciate the practical nitty-gritty of language - the good, the bad AND the ugly. The collective experience of the group becomes a powerful, motivating and positive learning experience for me. Plus, there are times when I get to hear absolute moving, heart-breaking beauty, like last night with a piece from one of the writers, Mir. 17-ish years ago when I was actively writing and trying to get into an MFA program, I was in a weekly workshop with author and teacher François Camoin. I also did a conference workshop with author Phyllis Barber. Both were inspiring. It seemed like a bright beginning to a bright future. My reality is that life fell apart shortly thereafter, not in any small part due to my own sustained shortcomings. I lost my family. Lost myself. Lost my faith. Everything I thought I knew about anything changed. And I stopped writing. I did not write a word for almost ten years. New Year's Eve 2004, two women who had become my friends and mentors were killed by a drunk driver on Martin Luther King Boulevard as they drove home from a celebration powwow. Losing them seemed unbearable, beyond tragic, and I was without a way to grieve. I had lost so much, and while I had come back a great ways, I still could not seem to get my feet solidly under me. As if I had gone so far down that there was no coming back. Desperate for some solace, I began to write in a plain college composition book. Journaling, perhaps, although it wasn't really a daily journal so much as it was an outpouring of words and pieces of language that spun through my thoughts day and night. The act of writing gave me the smallest pause in the chaos, a moment of peace. It gave me a voice when I did not think I had one left. Allowed me my grief and my joy. Connected me to that which is greater than us all. I reached out and joined a peer review group led by Christi Krug, Wildfire Writing. Christi is a kind and supportive writing coach and exactly what I needed at the time. She also pointed me in the direction of Stevan and Joanna and the current workshop group, Over the Pinewood Table, that has also resulted in what I would consider a number of life-long friendships. I have gone in and out of workshops ever since. But more importantly, I continue to write. Daily. It probably just sounds sentimental to say that writing saved my life. I wonder. But so what if it has?